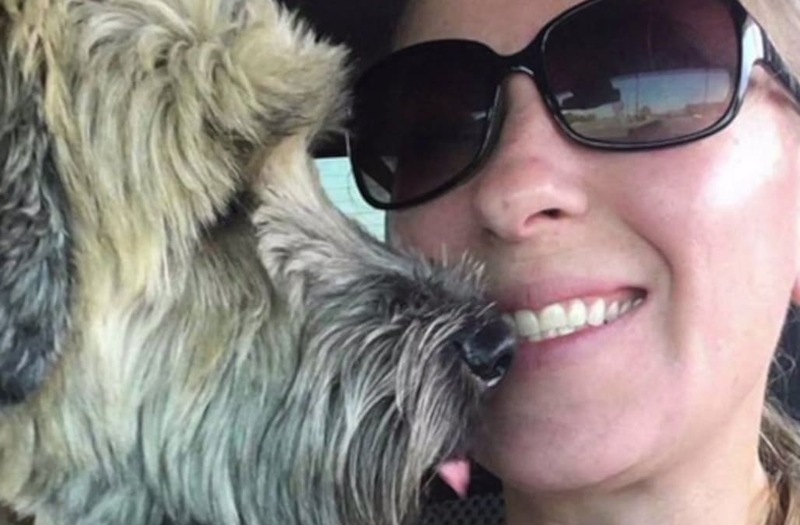 ONTARIO, California (KSWB) -- The bodies of a missing San Diego Army veteran and her dog were found in a shallow grave in the desert Friday, the woman's brother told FOX 5. The remains were found while investigators used a cadaver dog to search an area called Cactus City near Interstate 10 and Box Canyon Road in San Bernardino County for Julia Jacobson. Jacobson, a retired Army captain and corporate real estate broker for 7-Eleven, went missing in San Diego over Labor Day weekend. Investigators have not confirmed the identities of the bodies, but Jon Jacobson said detectives contacted family members Friday and said the bodies are those of Jacobson and her box terrier, Boogie. Jon said they received the news Friday morning during Jacobson's funeral mass in North Dakota. "The church was absolutely packed and halfway through the service, we got a call from the detective in San Diego letting us know her remains had been found and they were quite confident it was her," he said. Authorities said Jacobson left her North Park home with her dog on the morning of Sept. 4. After San Diego police determined Jacobson had gone to Ontario, authorities in San Bernardino County took over the case. Based on their investigation, detectives have reason to believe Jacobson was murdered. Her ex-husband Dalen Ware was arrested in October on suspicion of murder.